This humidor is made for someone who loves leather and has a great taste in leather furniture and designs. 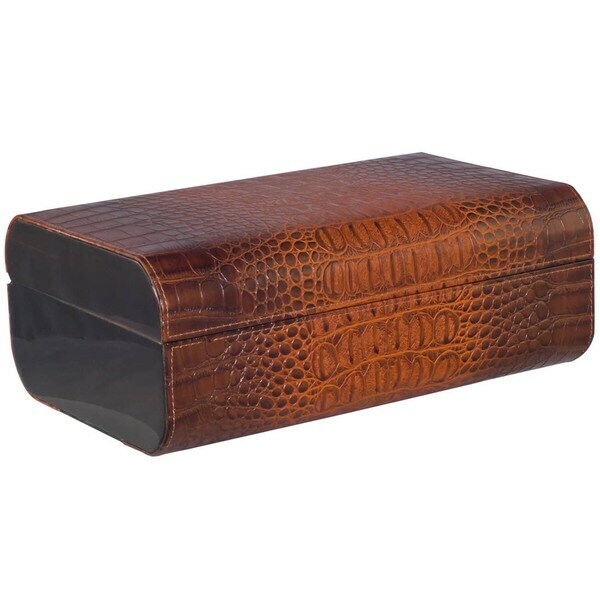 This humidor has a genuine crocodile patterned leather bonded on solid wood body. Bottom of the Humidor is Lined with Black Leather for better grip on the surface.